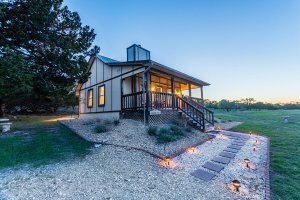 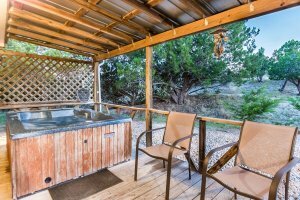 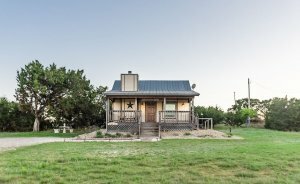 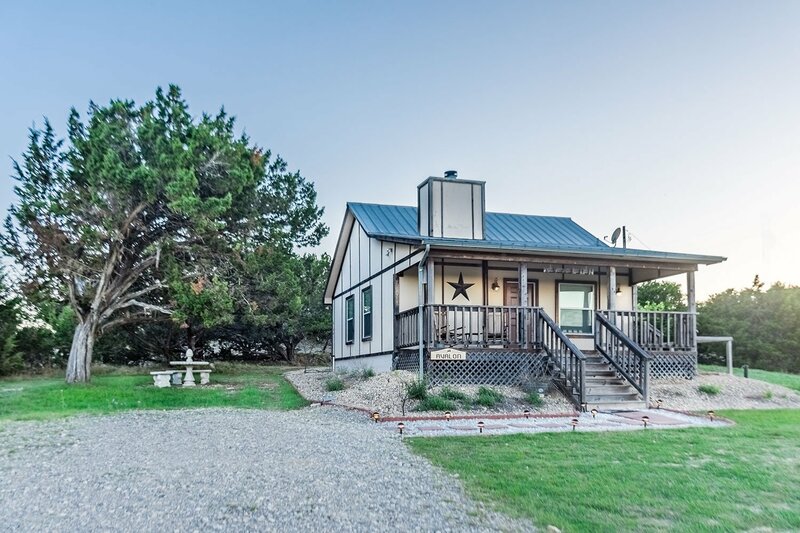 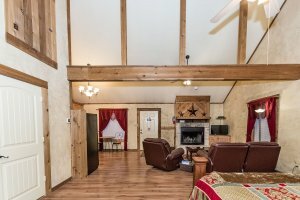 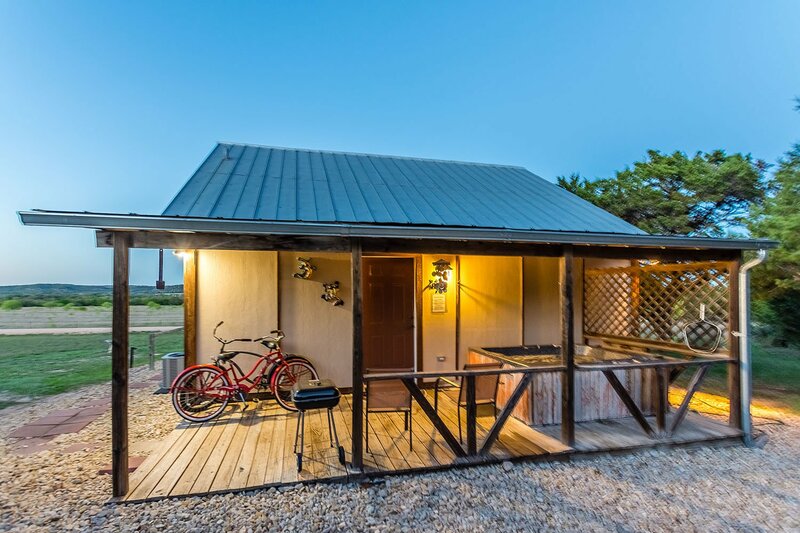 Avalon Guest Cottage has all the modern conveniences and amenities you want coupled with the awe inspiring Texas Hill Country as a setting. 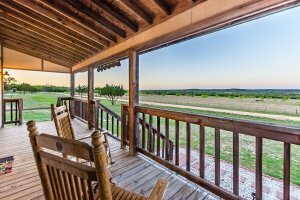 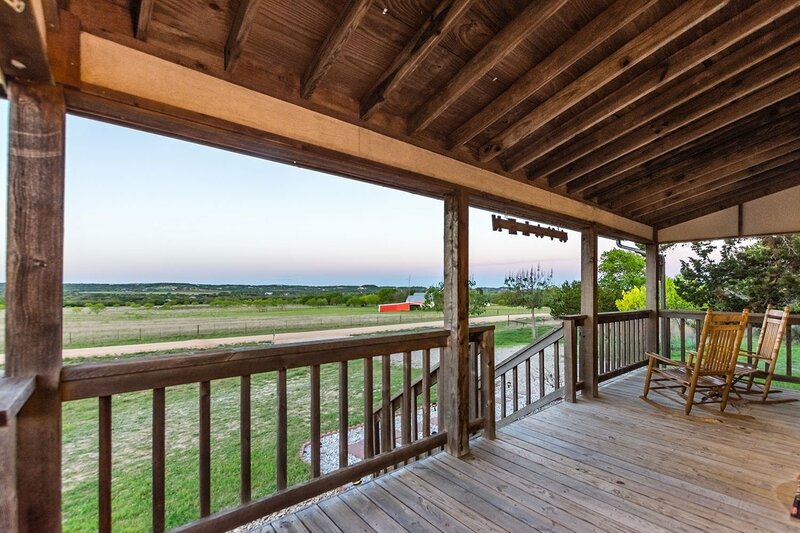 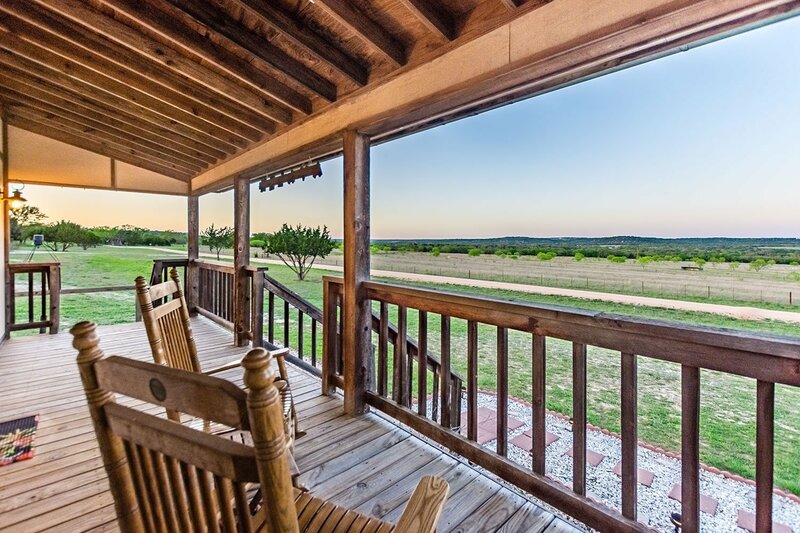 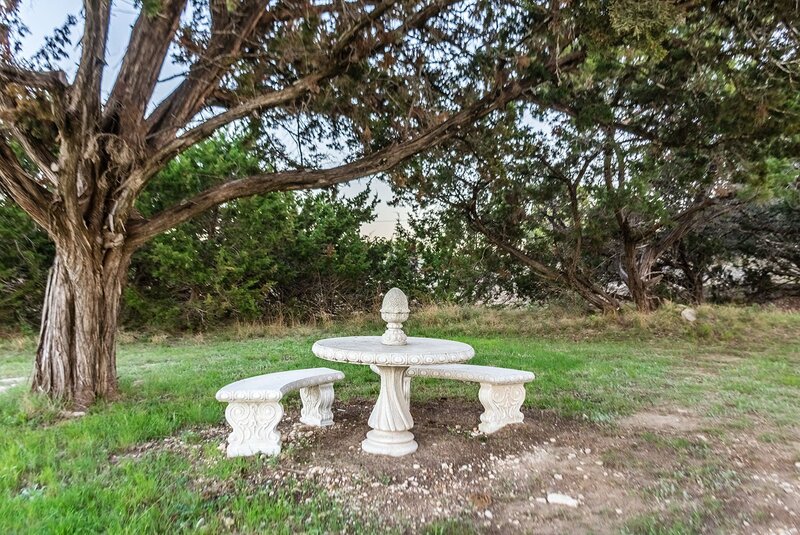 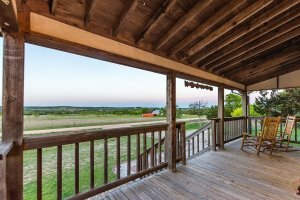 Enjoy the tranquil bliss and panoramic views while you sit on one of your private porches. 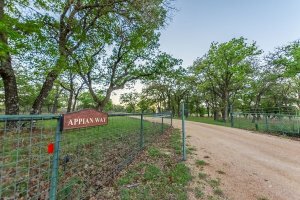 The White tail deer heavily populate this beautiful area and deer feeders have been placed nearby to encourage their visits. 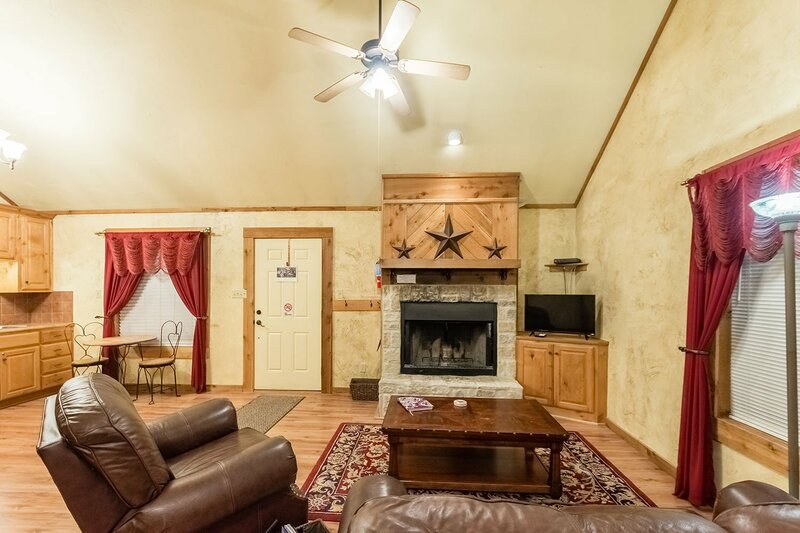 The owners of Avalon Guest cottage have tried to anticipate your every need. 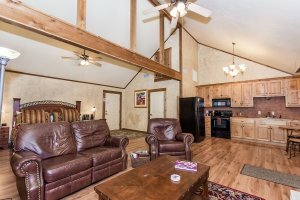 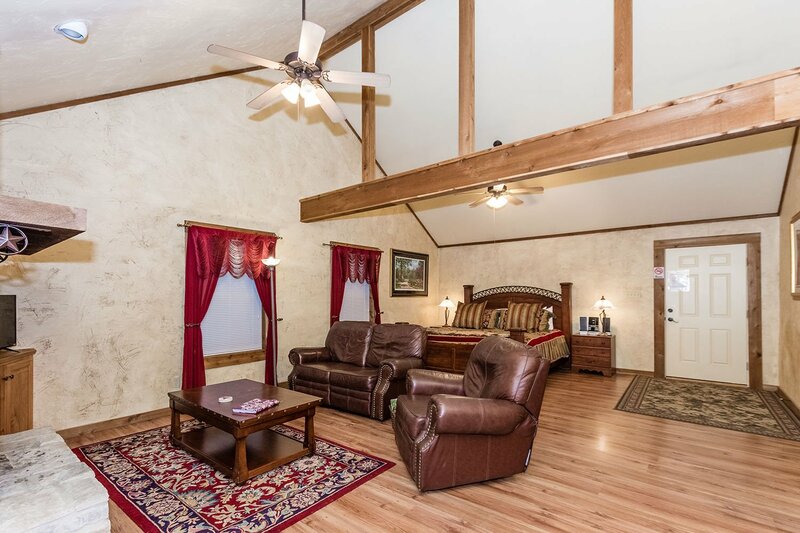 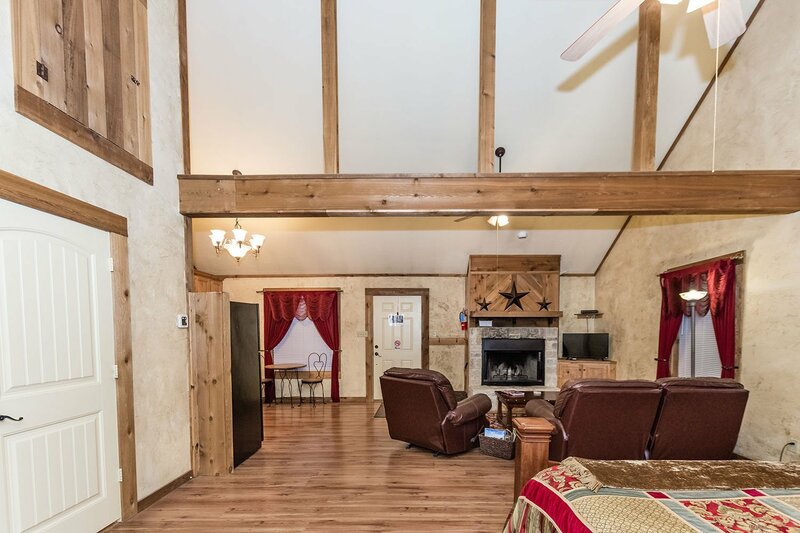 The cottage boasts a King-size bed, leather couch, oversized recliner and a full kitchen for your convenience. A private Hot Tub has been placed on the back porch for your enjoyment. 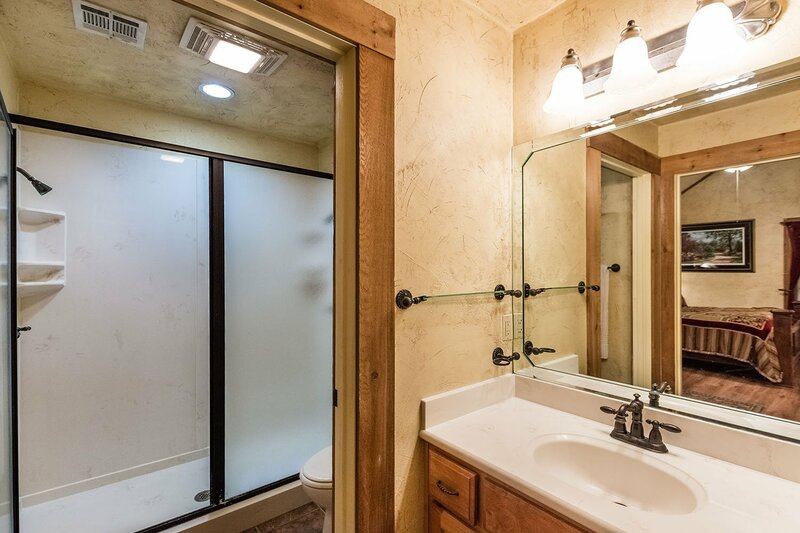 Sip on a glass of wine and take a romantic soak after a long day of shopping and site seeing. 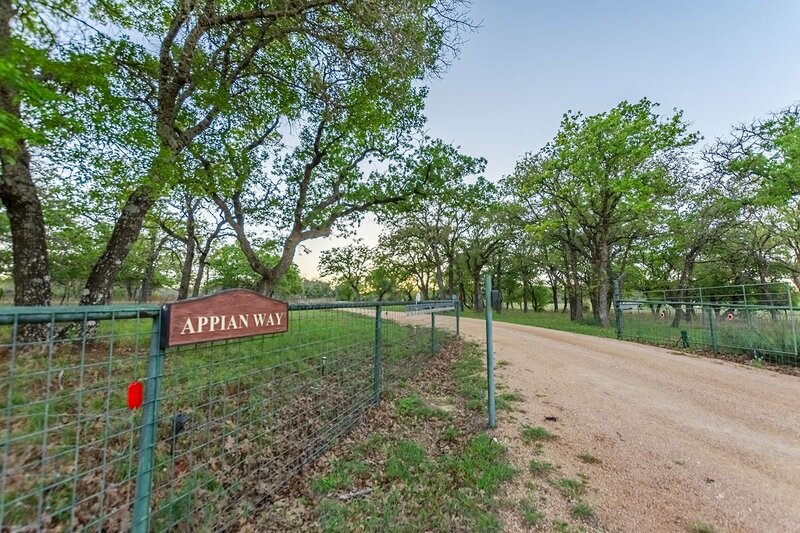 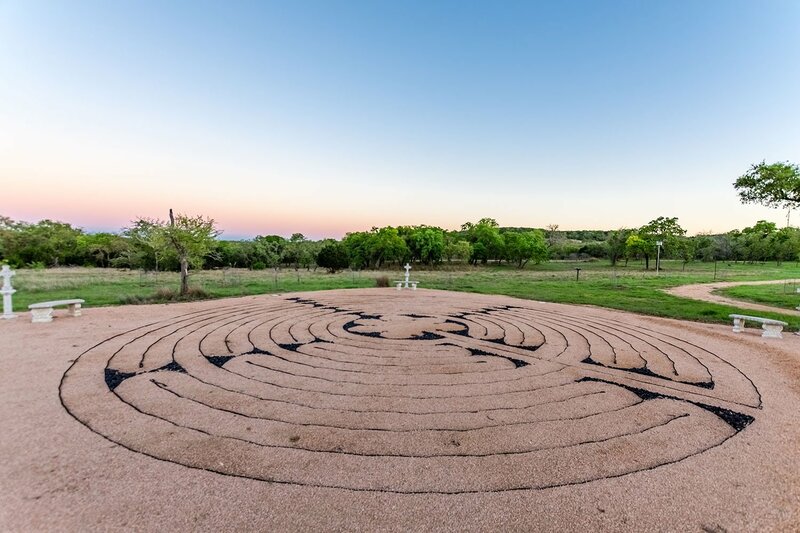 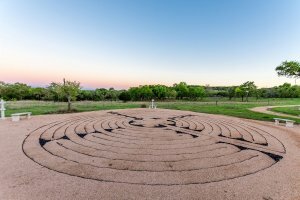 Let the serenity and beauty of the Hill Country carry your troubles and cares away at Avalon Guest Cottage.